VeryDirtyCarpets Spot and Stain Remover is a review product. 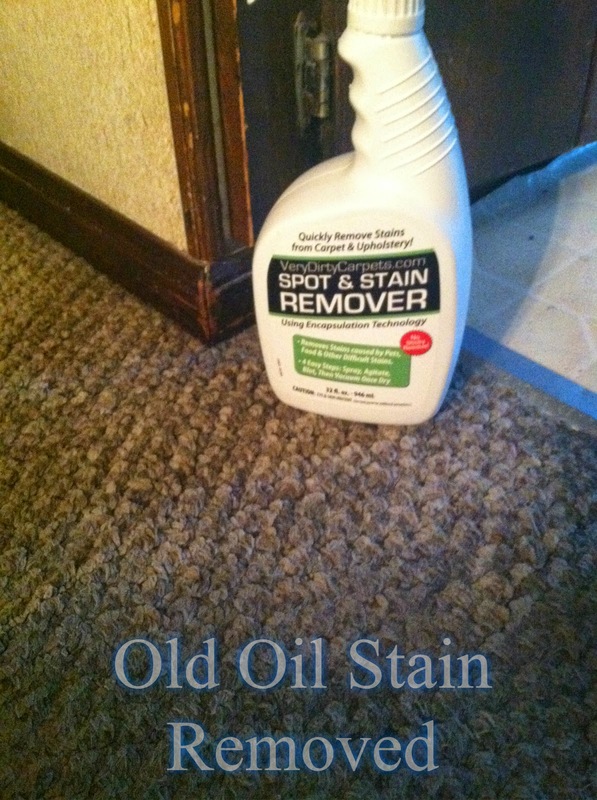 Over the years I have used many stain removers in my 1972 house. The carpets which I would love to take up are a constant upkeep. But until I can afford flooring I will use stain remover on my carpets. 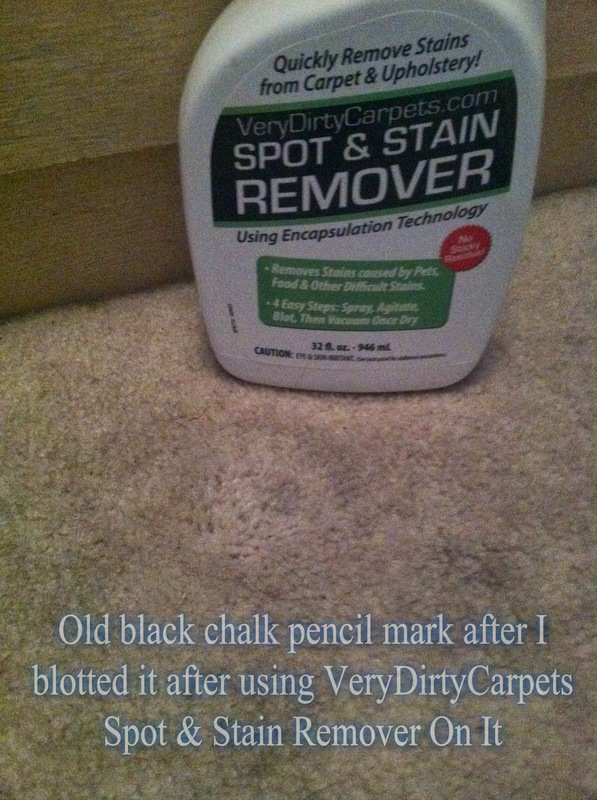 The first stain I hit with VeryDirtyCarpets was and old oil stain from about 5 years ago. I grabbed the olive oil from the pantry but the cap wasn't on and when it fell over it spilled enough oil to fry a turkey. 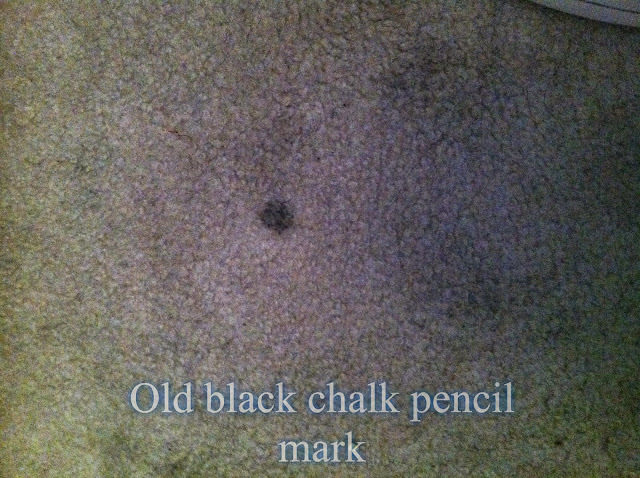 I did the best I could on the carpet but it never looked clean. 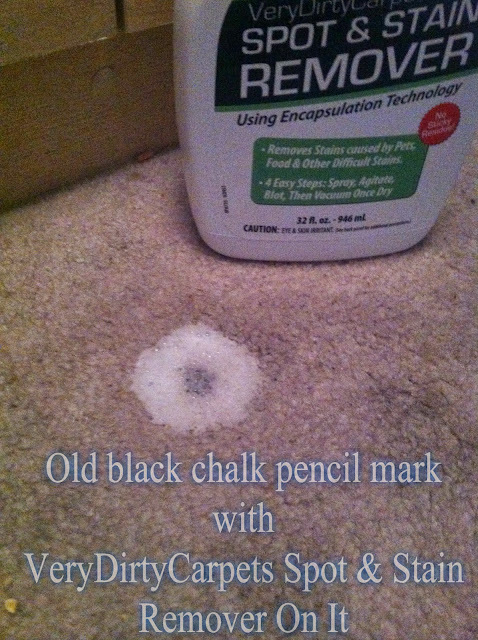 The directions state I should saturate the carpet, agitate not scrub with a brush and lift with a white cloth. Do you see the huge difference? 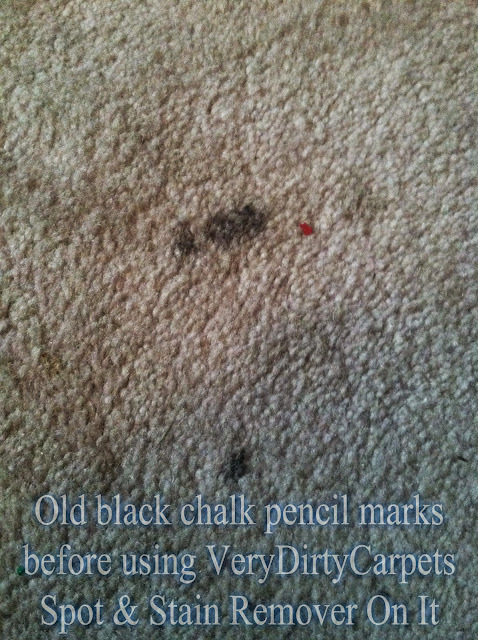 I haven't seen the carpet look like this in quite some time. 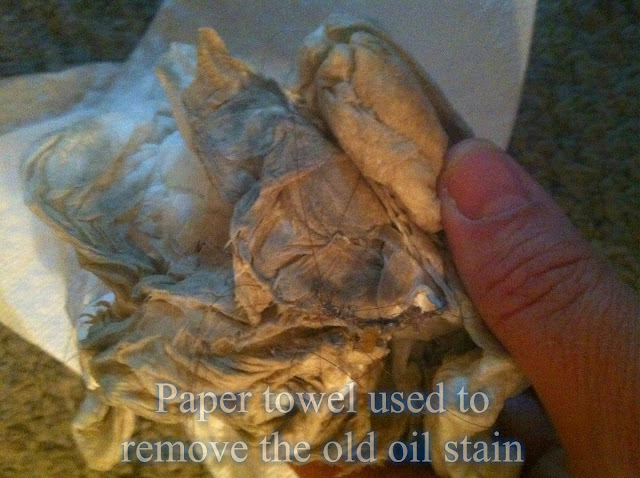 Here is the rag I used to lift the stain. Pretty gross! The next place I hit was Goddess' bedroom. I adore that girl! I really do but she is one stain making queen. This is also Goddess' room! 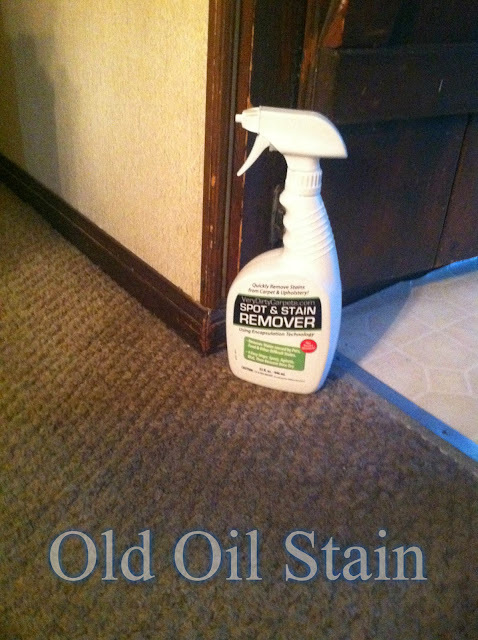 As you can see...that stain is almost out. 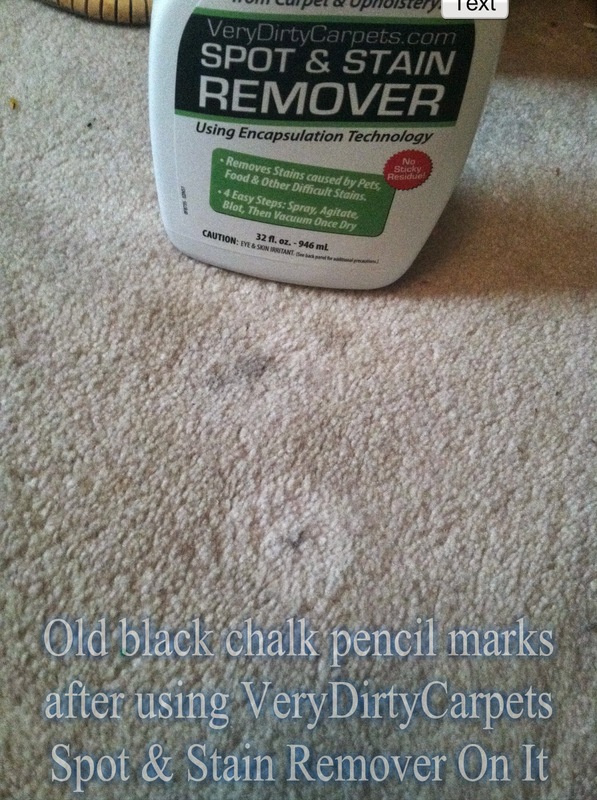 One more time and it should be completely gone.